Licensed in New York, the professionals at Miller & Company have served top-tier Manhattan clients since 1997.They exceed your every expectation with full-service dedication to your financial needs. They spend time with you before delivering... customize accounting strategies that improve your life and facilitate your lifestyle. Miller & Company serves New York’s elite with distinction, professionalism and responsiveness. 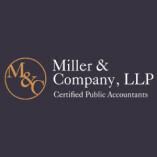 Miller & Company leads the industry in customized, personal accounting services, delivering world class consulting, compliance and tax services. The accounting team focuses solely on your financial goals and desired outcomes. Totally invested in your success, they work with your business as if it were their own. Contact Miller & Company for tax services and QuickBooks accounting. Miller & Company caters to high net-worth individuals and thriving businesses that need a personal touch and an analytical eye. If that describes you, call Miller&Company LLP on +1 (646) 865-1444 for innovative accounting. Keywords: accountant nyc, cpa firms in nyc, manhattan cpa, cpa manhattan, best accountants nyc, manhattan cpa firm, manhattan accounting firms, best small business accountant, best cpa firm, best tax accountant, tax accountant manhattan, tax cpa manhattan, top nyc accounting firm, midtown manhattan cpa firm, accounting firms in manhattan, best cpa firms, irs payment plan, tax preparation, retirement planning, tax lien, deferred tax asset, tax levy, tax audit, small business accountants, tax planning, federal tax lien, audited financial statements, payroll accounting, small business bookkeeping, cash flow management, tax resolution services, business consulting nyc, irs audit triggers, expatriate tax, international tax accountant, forensic accounting nyc, qualified domestic trust, business registration nyc, certified audit, tax representation, pension audits, financial statement review, international tax planning, international tax consultant, irs innocent spouse, accounting services nyc, strategic planning nyc, business accounting nyc, cpa self employed manhattan, high net worth retirement planning.